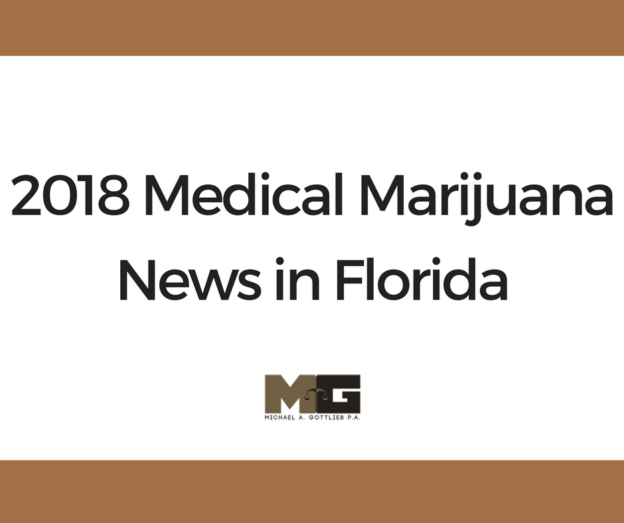 Marijuana has strong support in Florida, and 77% of Florida voters support medical marijuana. In 2016, Florida passed Amendment 2, which expanded medical marijuana in our state. Now, those who suffer from cancer, glaucoma, and post-traumatic stress disorder may legally consume marijuana. We are marijuana attorneys in Ft. Lauderdale. As part of our dedication to you, we want to keep you informed on the news in Florida. Check out our article below. Amendment 2 passed by a supermajority. This means that it is now part of the State Constitution. Many considered this as a first step towards legalizing recreational marijuana. For some, this is good news. For others, it signals nothing but bad. One of the reasons that this process has gone slowly is because the State Government, and many local governments, do not want people to have marijuana. A few cities, such as Coral Gables, Delray Beach, and Boca Raton have banned marijuana outright, citing federal law. Critics have pointed out that these acts go against the will of the people. The Constitutional Amendment passed, and the lack of implementation is directly against what people voted for. Rick Scott signed a provision that does not allow smoking medical marijuana. This may be a medically effective way to deliver the active ingredient into the bloodstream. Currently, there is a lawsuit in the state of Florida that argues just that, and it may be concluded in 2018. Amendment 2 allows for the creation of medical marijuana businesses. The Health Department is currently making the rules and regulations for both prescriptions and retail. Legally, doctors and shops may be on shaky territory until the regulations become clearer. Currently, there are very many dispensaries throughout the state of Florida. Before you can legally purchase marijuana in a shop, a doctor needs to prescribe it to you. They must have been treating you for at least 90 days. A few cities throughout the state of Florida have decriminalized marijuana. That means that if you have fewer than 20 grams of marijuana on you, it is not a crime in these select cities. A police officer can issue you a citation, similar to a parking ticket, at their discretion. The law enforcement officer may arrest you if they believe that you have more than 20 grams, or that you are committing another crime. Miami-Dade County, Broward County, and Palm Beach County all give police the option to issue a small fine as opposed to an arrest. Orlando, Tampa, and Port Richey similarly allow the police to give someone a citation in lieu of an arrest. Possessing more than 20 grams of marijuana is a crime. People may be sentenced for up to 5 years if they have fewer than 25 pounds. Those who have more than 25 pounds are considered traffickers, and trafficking is a first-degree felony. There are a few petitions right now concerning the legalization of marijuana for recreational purposes. The Florida Cannabis Act needs to reach 753,603 signatures by February 1, 2018 to be on the ballot in November. If this act were to pass, marijuana would be treated very similarly to alcohol. If you have any questions about marijuana in Florida, contact us at Broward Criminal Lawyer today. We have many years of experience in defending clients. Call us at (954) 462-1005 .